GREETING CARDS ARE "IN" -- want to make an impact in 2019? Don't send a text or email. 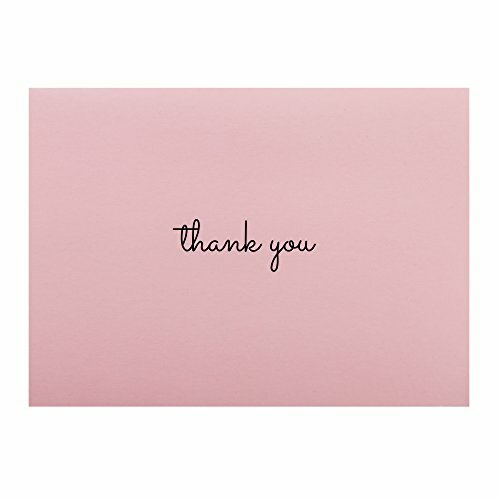 Instead, tell someone you really appreciate him/her by sending a handwritten thank you card. 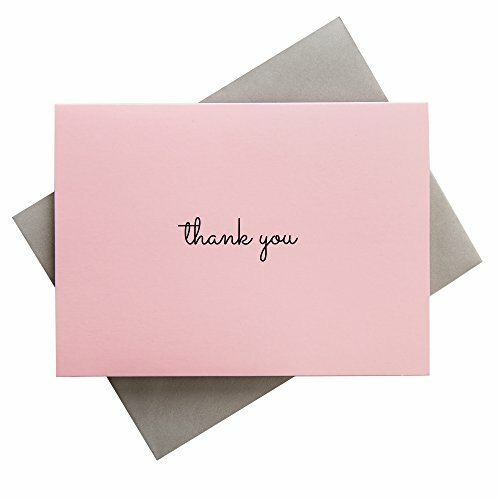 These minimal, stylish thank you cards work for any occasion. GREAT SIZE -- these cards are 4 by 5.5 inches and feature plenty of space to reveal your heart but don't make you look stingy-hearted if you only include a sentence or two. Also, these are traditional folded greeting cards. Compare these to the Thank You "postcards" sold by our competitors." 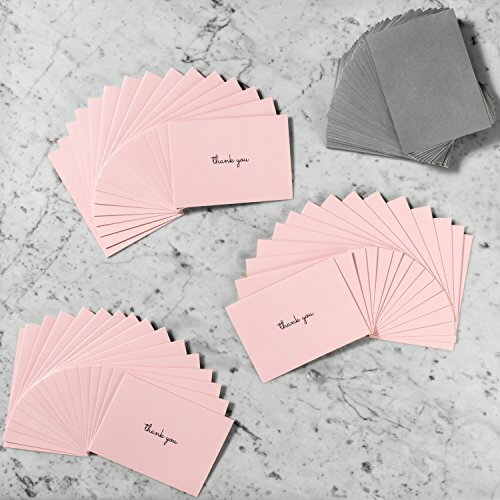 HIGH QUALITY -- our cards are made of thick, glossy 300gsm paper. They feel substantial to the hand, like the pricy greeting cards you buy in boutiques and chain stores. The interior is matte, making writing easy. 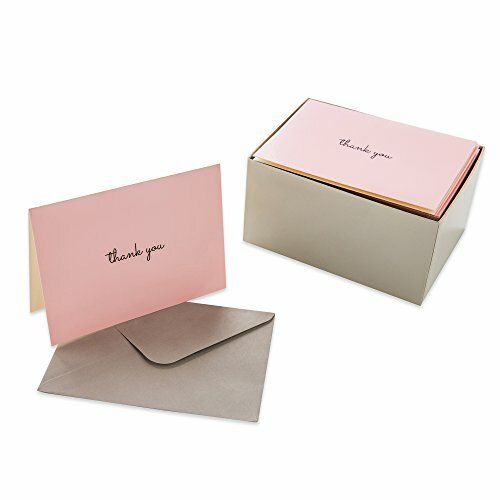 Send a card as substantial as your gratitude. 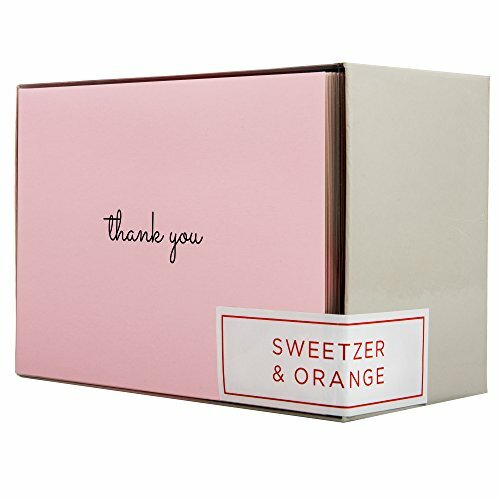 ELEGANT STORAGE BOX -- the sturdy grey box matches the color of the envelopes. Leave the box on your desk or on the shelf without crimping your style.